While only minutes from the bustle of San Francisco, the elegant and relaxing Lafayette Park Hotel & Spa feels like it is a world away. Guests of our East Bay hotel enjoy easy proximity to San Francisco and San Jose, as well as the wineries of Napa Valley and Livermore Valley. Whether you’re here for business or pleasure, you’ll find our location convenient for enjoying the abundance of local activities and attractions in and around Walnut Creek, including dining, shopping, theater, culture and top professional sporting events. We are situated in the suburban town of Lafayette, in the lavish hills of Lamorinda. 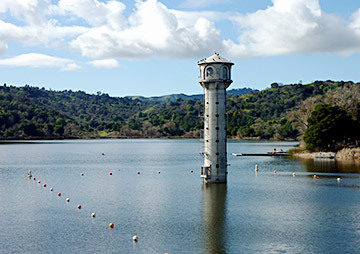 As the crown jewel of the East Bay, Lafayette is home to shops, restaurants, scenic hiking trails and more. Within two miles of the hotel is the Broadway Plaza Shopping Center, with 100+ boutiques and stores. And if you are looking for culture, we are close to the California Shakespeare Theatre, a premier Shakespeare festival, as well as the Sleep Train Pavilion and the renowned Dean Lesher Regional Center for the Arts. 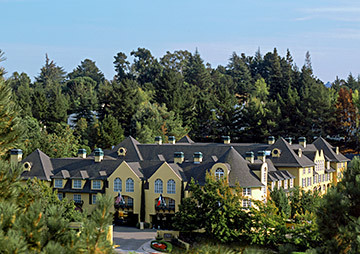 We are the closest hotel to St. Mary’s College of California, located in the hills of Moraga, and we are 20 minutes from the world-famous University of California Berkeley. To help plan your visit please contact us and our experienced front desk associates will be happy to help!